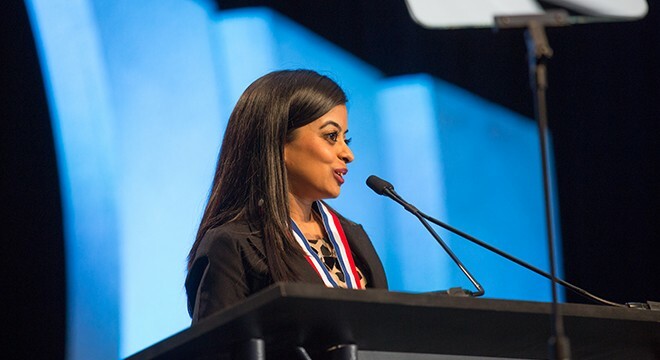 One of our very own, Dr. Reena Patel, was recently featured in articles by the American Optometric Association and California Optometric Association highlighting her passion for pediatric eye care and her involvement in the promotion of comprehensive pediatric eye examinations in the California legislature. Dr. Patel was also awarded the Dr. W. David Sullins Jr. InfantSEE Award for her efforts towards the InfantSEE program. She discusses the workshops she designed to give clinicians a hands-on learning experience on infant exams, how her passion for pediatric eye care has fueled her advocacy for children’s vision, and how she is ensuring the reinforcement of quality pediatric vision care by teaching at MBKU/SCCO and educating future eye care practitioners. Q. Can you provide us with the story of a particularly memorable patient? Through the InfantSEE program, I have diagnosed two cases of retinoblastoma (cancer in the eye). While both were very heart breaking situations, we were extremely lucky to have caught these conditions early enough for the infants to have the opportunity to get treatment to not just save their lives, but potentially their vision as well. If the conditions had gone undetected, the outcome would certainly not have been as positive. I am very grateful the parents heard about the InfantSEE program and brought their babies in for what turned out to be life changing eye examinations. Q. What is the best way for a member of OCOS to support your work with pediatric patients? We all know that children are the future and it is our responsibility to provide them with the eye care they need to succeed in school and life. I encourage every single optometrist to be a champion for children’s vision and to educate their patients about the importance of eye examinations for children. If you are not comfortable examining pediatric patients yourself, please refers to your colleagues who specialize in pediatrics. In addition, I challenge you to spread the word about the InfantSEE program, which provides infants between 6-12 months of age with a no-cost baseline comprehensive eye examination. By doing so, I guarantee you will be making an incredible difference in the lives of children. Find out more information about InfantSEE. 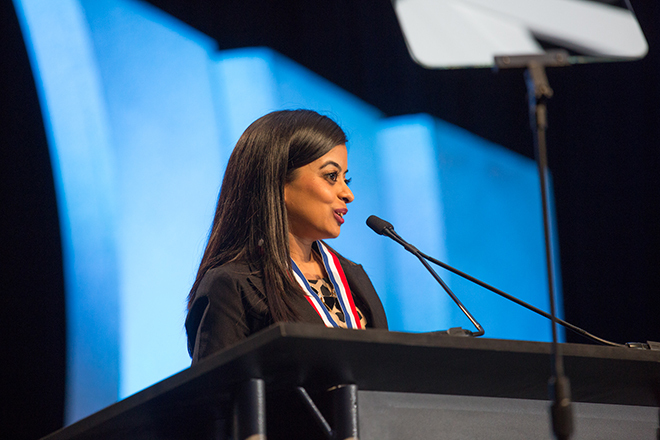 Watch Dr. Patel’s acceptance speech for the Dr. W. David Sullins Jr. InfantSEE Award. June 13- International Albinism Awareness Day May is Healthy Vision Month!